This footwear comes in various shapes, styles, and colors. This hot season you can find beautiful flat pumps with pointy or rounded toes. Be sure to choose the ones that are versatile enough to be worn with different kind of pants. 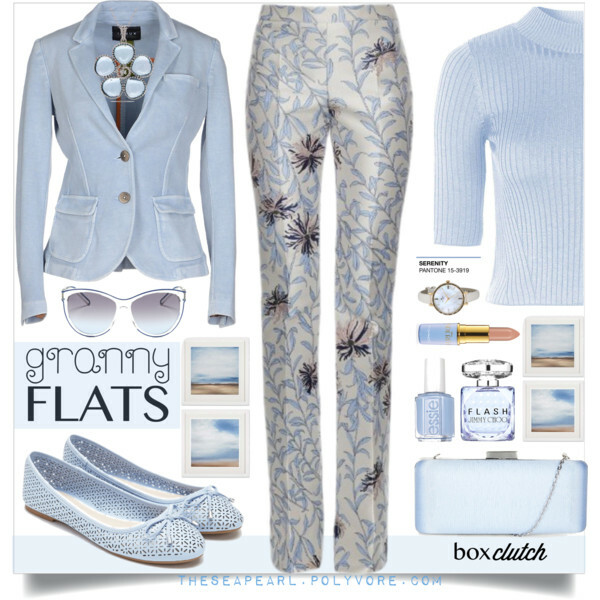 If you are a flat shoe fan, then you certainly should have a look at these outfit ideas. Dark shiny silver flat pumps can be a perfect match to be worn with dark maroon jeans. 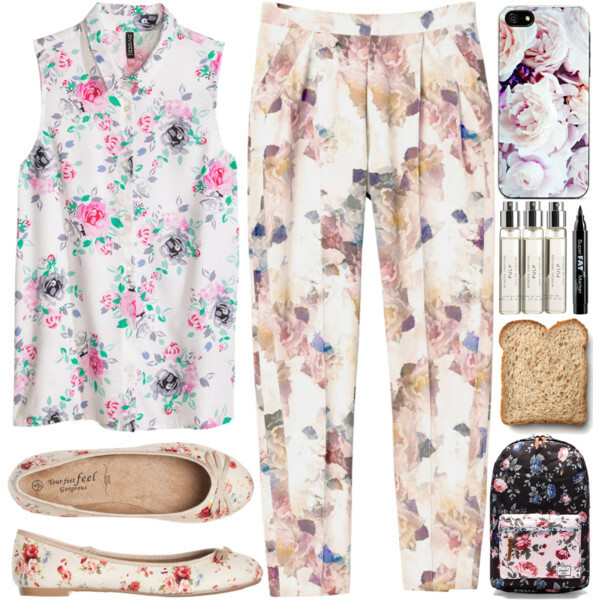 Add a white blouse and muted yellow sweater. Perforated pastel turquoise flat ballet pumps look simple and easy to wear. Try them on with matching color slim jeans, pinstripe blouse and biker style cream-white biker jacket. High-waisted tailored pants in slim-fit in a jacquard print look classy and retro inspired. Try these with ribbed knit cream blue sweater and perforated pastel blue flat pumps. Finish this outfit with a two-buttoned vintage blazer. Snakeskin printed biker jacket will be a great addition to this cream beige necktie sleeveless blouse. Add black pants and bow-tie silver flat pumps. Classic cream-beige flat pumps look pretty sweet with gold-white skinnies and ribbed knit white sweater. Dotted blue pants look pretty sweet with cream-white ballet pumps. Add a white slim sweater and oversized black buttoned cardigan. Dotted high-waisted pants might be a great choice to wear with pointed-toe flat pumps embellished with tassels. Black leather pants and black toe flat pumps is a nice combo. Add blazer, simple top and classic car coat in black color. Sweet-looking blush flats match black and white gingham print trousers.